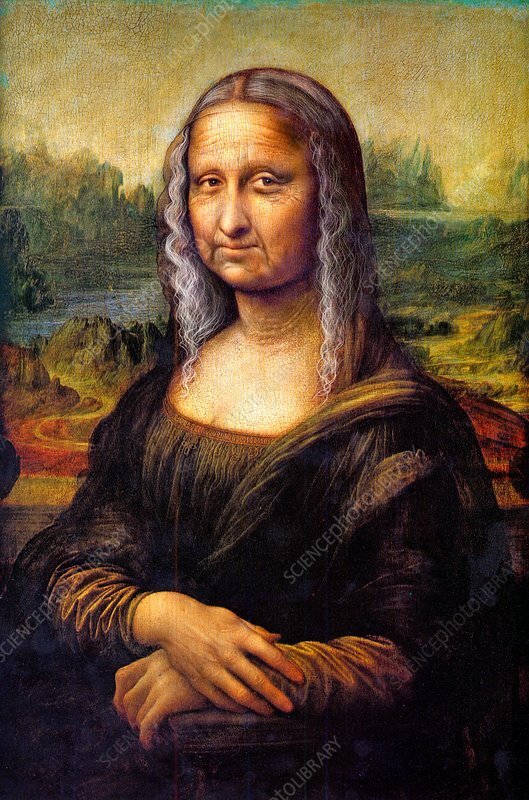 Ageing Mona Lisa, conceptual illustration. The Mona Lisa is shown here with grey hair and wrinkled skin. This represents the ageing process, which includes changes such as loss of hair colour, and the formation of wrinkles. The Mona Lisa painting (finished in 1404) was painted by Italian artist Leonardo da Vinci.